Channels 1, 2, 3. Channel 4. 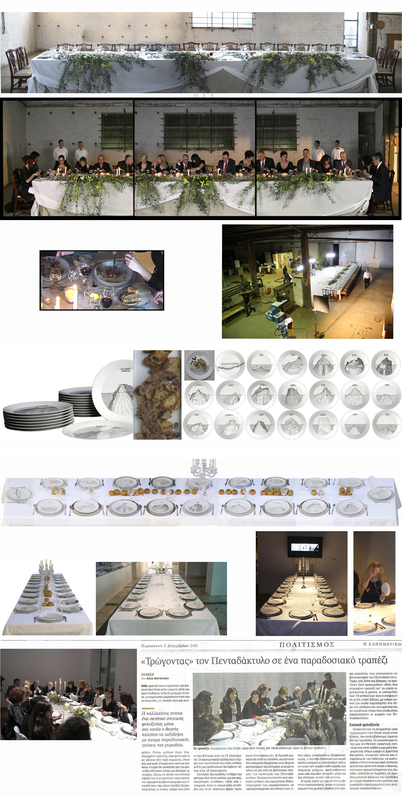 Interview Video of 'Olive-bread' 'Lets talk about peace... over dinner', 4-chanel video + 10m table installation; 60 minutes; 2011.